MR. THOMAS ALVA EDISON in person! Interpretative Lecture Demonstrations given to various, interested groups. at the July 2010 Victorian Tea in Parsonsfield, Maine. Thomas Alva Edison at Conway Public Library. 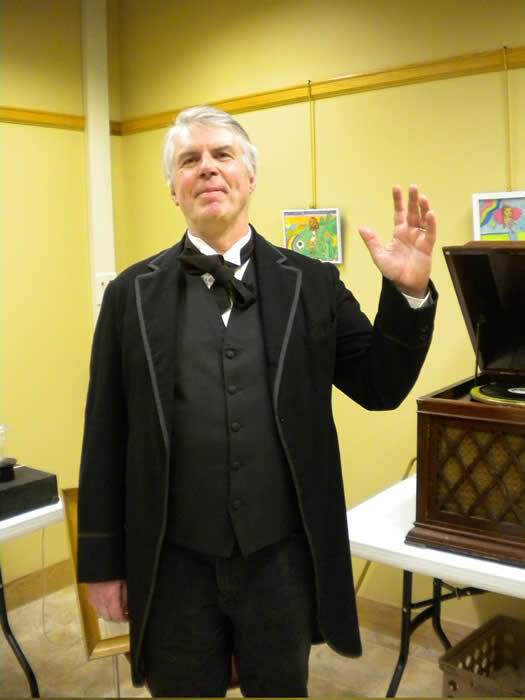 Mr. Edison has recently appeared at Freedom Historical and Tamworth Historical Societies. Mr. Edison demonstrates his "new fangled" inventions!